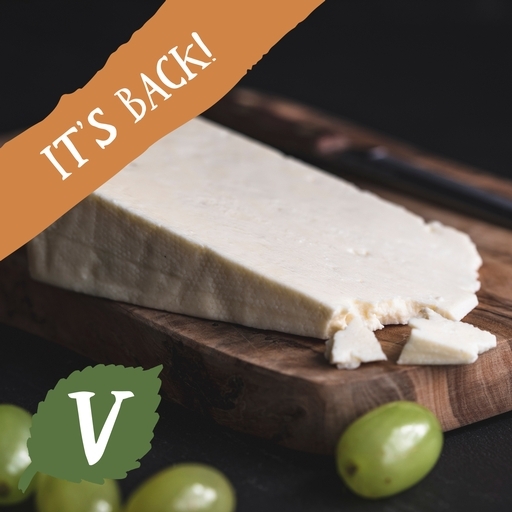 Mild, delicately honeyed organic Wensleydale, handmade in the beautifully remote Trough of Bowland, Lancashire with organic milk from local cows. Pack this handsome white wedge into your picnic basket with some oatcakes and sweet chutney for a portable ploughman’s, or pair with apples on a summery cheeseboard. Keep in the fridge and use within 7 days of opening. Leagram, the Kitching family’s small organic dairy, is set in the beautifully remote Trough of Bowland countryside, Lancashire. It’s a very traditional operation: their organic milk is all sourced from local cows, and the cheeses are lovingly made by hand with tools that are over 120 years old. Dipping the cheese in hot wax seals in the texture while the cheeses mature, before the team cut each wedge by hand. The results have earned gold medals at the British Cheese Awards and the International Cheese Awards. Pasteurised cow's milk, culture*, non-animal rennet*, salt*.